When Cyclops is blocked, your opponent must immediately knock out one of his other characters if able. Global: Pay on your turn. Move a Phoenix Force die from your used pile to the field at its lowest level. 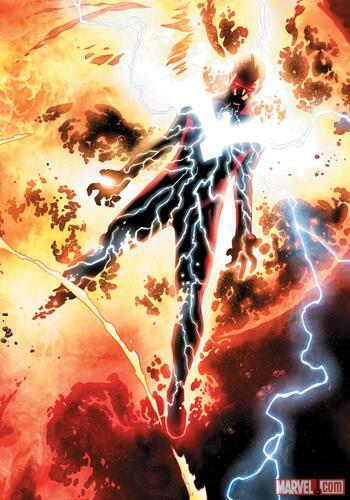 All of the Phoenix Force titled/subtitled character cards (Cyclops, Colossus, Phoenix Force) from the Avengers vs. X-Men Storyline Organized Play event have the Phoenix Force affiliation. ^ Phoenix Force globals and affiliations. Wizkids Rules Forum. Retrieved 8-25-2015. ^ Avengers vs. X-Men Vol 1 11. Marvel Wikia Database. Retrieved 21 August 2015.